The New York private school for BABIES demanding $33,500 per year! A private ‘arts orientated’ school for infants aged three to 23 months old will launch in New York this fall with annual fees topping a staggering $33,492. 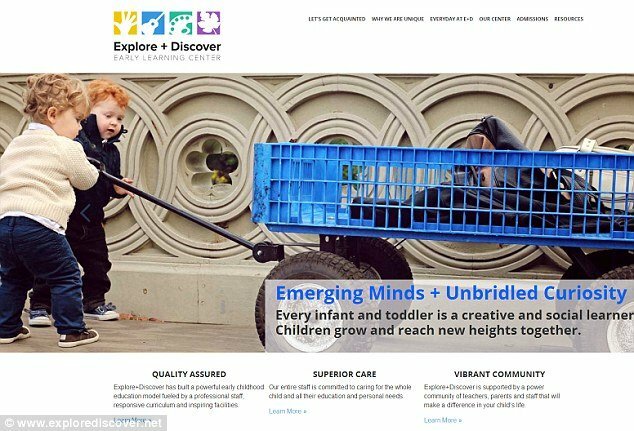 Explore+Discover, located in Manhattan’s affluent Gramercy Park neighborhood, has eight classrooms and a recreational area, catering for roughly 80 babies. It comes out as one of the most expensive education centers for young children in the city. The yearly tuition fees at Harvard University in comparison are $43,938 while the College Board calculates the average cost of tuition and fees for the 2013-2014 school year as $30,094 at private colleges. However, Michael Koffler, the founder of Explore+Discover, told DNAinfo that he believes the facility is bridging a neglected gap in the market. During the next few years, Mr Koffler plans to open more than 20 other centers in New York City. For parents on a tighter budget they can opt to drop their babies off two or three days a week instead of five. This lowers the price to $16,788 to $23,880 per annum. All of the teachers sourced by Explore+Discover have a master’s degrees in early childhood education. There will be three for every class of eight to 12 infants. ‘Teachers will be constructing the curriculum with the children,’ said Jacqueline Marks, director of the Gramercy location. ‘Let’s say the teachers notice that the child keeps going back to the same basket of rocks day after day. ‘Teachers will see what the infants are interested in and will use that as clues for how to provide more opportunities to further explore,’ she continued. The 5,000-square-foot Explore+Discover Gramercy center will start classes on September 8 and is currently accepting admissions.